Majority running 8.5x with 70+ percent using it. Lotus Live Notes is doing well. Ed was probably speaking way too fast for non-English speakers. Most likely due to the huge amount of info he wanted to get across. So 7.0.x is at End of Life April 2011 start upgrading already, what are you waiting for? Mostly fixes/updates but likely to only be one point release, 8.5.3. Lotus Knows Productivity will get rolled out in the US as a new marketing campaign. Domino utility server to be used for apps so you can get apps and mail in LL sometimes this year. GSX is now monitoring your LotusLive Notes. Why would they do this if no one has control from a client side? Because to ensure SLA's and quality of service issues. Concept is done, planning is done, now to get it done. Ease Cloud integration and Hybrid. New teamroom template has been posted to openntf.org. The opening act as you probably heard by now was excellent, I didn't catch their name but very impressive stage show and instruments. Talking Heads man in the big suit type theatrics from Stop Making Sense. Guest was Kevin Spacey who gave a truly inspiring talk and was well keyed into the 500 students visiting us today. Group Business Systems and IBM made it possible for 500 local college students to come to Lotusphere today and I am really happy someone did it. The expense and the effort by Group should not be lost on everyone in the Yellow Bubble or at Lotusphere, thank you to them. So stop the students and talk to them, answer questions, do whatever you can because they need to see the past and the future and why it is all important in the context of a social business and world. Alistair was much better today than yesterday, but still something seemed missing. Maybe it was the oddly worded teleprompter speeches but it did not seem he was comfortable up there, IMHO. There were not one but 2 customer panels. Why? And the bad scripted Q/A had people reading the teleprompters which was odd to me. Not a very exciting thing to do and why wasn't that part of the CIO events or the Customer Evangelist sessions? On top of this no mention of numbers, we know the financial ones came out, but were there NO gains? Could the data inside IBM not be correct? Surely we had some good growth somewhere? Demo's were okay. Northstar is now available in beta as LotusLive Symphony and it is cool, great, fast and from when I played with it, better than Google apps. Your mileage may vary. The most impressive demo to me was not Vulcan, which was run as an embedded browser in Notes. But the IBM Software Experience. Go check it out in the showcase floor. The ability to drag and drop followers from Facebook into this suite and just move page items around and all via GUI no IT involved, no special code is truly what every marketer wants. Amazing! So a mixed morning, but one thing which I and others noticed was a distinct lack of Lotus branding and execs being IBM Collaboration or IBM Social executives. Not saying it means anything, it was just interesting to note. This morning at the OGS, a demo showed Voicerite solution for voice mail. Who is Voicerite? They are a South Florida based partner, which is how I know them and they are one of the first to have a Vulcan product, so to speak. VoiceRite is one of the first companies to publish to the Activity stream of the new Business Social Toolkit providing access to IBM Unified Messaging for access to voice mail allowing for those messages to be transcribed to text and is a compliment to VoiceRite Lotus Plugin and its Mobile voice mail clients.www.voicerite.com. For more information go to their website and/or go to their Pedestal which is 706 (may be wrong on the number will check next time I am down there). This could be the shirt needed at Lotusphere sometimes. Sunday, the infamous start of Lotusphere week for us Business partners. We had an OGS which others posted about so I am not going to review it. Just to say I wish Alistair had more to say. Bruce Elgort's session which he co presented was a unique mix of video interviews and live discussion/banter with few slides, a breath of fresh air. I decided to go to the competitive sessions, as I suspect you expect me to do so. Problem was that someone at IBM scheduled both at...the...same...time. Lunch was a nice salmon with pepper sauce for those that wonder and a very nice dessert. After lunch the fun began for me, session on Lotus Live offerings and futures was very interesting and those interested in it will find that IBM has some nice options and benefits coming soon. I then attempted to get into what was a VERY packed room of the Mobile Roundtable. I was denied due to fire laws but took comfort in the conversation I had with 4 IBMers who were not allowed in there as well, 2 of which I am quite sure were expected in there. I then had a great conversation with a leader of a Tiger team on UC/Sametime. While that info will come out shortly, it sounds like IBM has heard us when we say it can be hard to install Sametime. It was the next meeting which was REALLY what I looked forward to and I will try to post about it under separate postings. The discussion centered around Developerworks and how to engage those of us on the outside to contribute more. Turtle's session was rather funny and discussed Lotusphere in 1951. You had to be there. At the party on the beach, and great weather I might add, I found many bloggers, Linkedin friends, blog readers and some old Lotus friends. But spent most of my time with the Redmonk team and various IBMers discussing movie themes, business, portals and the Chevrolet Volt that is displayed outside the Swan hotel. All in all a long day, not everything I wanted out of it but the meetings I had with various IBMers was well worth it. Isn't that why we come to Lotusphere after all? So we can engage the executives and learn all we need to know for the upcoming year? I posted my laptop was dying of power and pa bunch of people suggested an ipad. One problem I don't have one. In the spirit of true collaboration and social business, a fellow attendee has loaned me his iPad. Many thanks to @lotusmaisoui for his loaner. But since I am in a session on competition I can not blog bout it...today. Seeing people, some for the first time since last Lotusphere, reminds me of the 1st day back to school after summer break. You see people and say, I know them, what's their name? or Hey it's or whatever. The sense of being home, once walking into the Dolphin lobby, ESPN (once you got past the outside group), Kimonos or just walking past the Dolphin bar and Boardwalk is the same for everyone I ran into so far. It's weird but comforting as well because the energy we all share is what starts Lotusphere off so well for all of us. If you are looking for me, try Twitter or 4Square. Look for a guy with a black hat that says LCTY Florida on it or at night is wearing a Lotus Sumtech black jacket. Happy to say the book publishing date is getting closer daily, but no exact date yet. Click on the book cover to go to the Packt ordering page. However, Packt has released Chapter 4, the Installation chapter, for those who want a peek or maybe just need to install Quickr 8.5. Either way, go grab the chapter from this link. Seems Lotusphere attendees really like to eat Thin Mints cookies. Really like them! Some even want a case of them! Still time to request them here. Some have questioned if we can sell the cookies online. She is not selling them online, just advertising them. Potential orders are from my friends, just as if I worked in an office except my office is virtual to all of you, who will be at Lotusphere, since I was going to be bringing some up anyway and this helps estimate better. Their troop will be selling at various stores and malls and those notices went out as well to those locations and patrons both on paper and via email. The guidelines provided the troop that they signed does not say one can't sell them online. In fact it stipulates that they agree to follow all safety procedures...including both conducting sales and participating in any online marketing activities. The GSA does not sell any cookies online, presumably, so that each individual troop can sell them. Not unlike many software and hardware companies that do not sell direct to the public, except via distributors. My daughter will be using skype, with me, to talk to those that ordered so she learns, and experiences, why people like, buy and eat Girl Scout Cookies and report back on it to the troop. Encouraging the next generation to think differently and seek out new information that may help in the future is the plan. 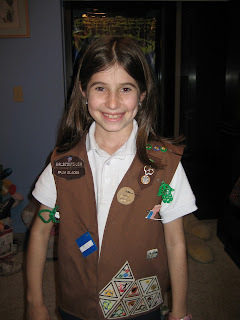 Granted the Girl Scout cookie application for Lotusphere 2011, I wrote as an XPages app is far from anything most of the developers would write. What was interesting was testing took longer than coding. Agents, without access they are just text and graphic buttons that do nothing, and in some cases cause replication/save conflicts. With proper access, they run and work properly. I learned XPages needs a data source, which to me is rather unintuitive. Why do I need to create a non-XPages form to make the XPages form work properly? Why does submit not ask me where or who to submit it to but you have to go and create it all from scratch? Why can one not use a .PNG file as an image? I know how to do it, I added it as a resour, but really would it be so hard for you to add one more file type to that drop down? Undoubtedly someone will point me to XPages 101 that shows how to do this easier, simpler and cleaner. But I am not a developer and the same skills that 18(damn, really?!) years ago I hacked together an IT outage database I can still hack away with today makes me very happy. So what did I learn this time? Not much as I used previous work to minimize the length of time involved. Could it be better, sure but I wasn't looking to hook it into Paypal or anything. Way too much overhead for what I thought would be a few boxes. Turns out I was wrong, it is way more than a few boxes. Thank you all so much and keep the orders coming. No, not an IBM sponsored. This is from my daughter Noffiya's Brownie troop and they are selling the cookies. Last year a few people asked about it but it was too late to order and she asked me if my friends would buy any this year. This year we have time to order whatever you want and bring them up to Lotusphere and deliver them to your hotel or a set time/place to find me for them. So if you are coming from overseas and want to bring something unique home for your kids, spouse, significant other or just to eat on the plane, let me know if you want any. So like any good Lotus person would, I made a simple xpages app to take your order. It does not add up and total the orders, so if anyone wants to tinker with my design let me know. I am an admin after all. They are $4 a box, you can pay in cash at Lotusphere. The site will be taken down the day before Lotusphere. A discussion on the lnotes-l email thread led me to check on a clients environment to validate Mike's sanity. It seems that in the course of upgrading to 8.5.2(in my case 8.5.2 fp1 on client side, 852 HF16 on server) of his domain something broke in the outbound SMTP. Some background first. In clients with Exchange and Domino it is quite common to have one or the other handle inbound/outbound email. Usually we use Domino for in/out SMTP and any email that needs to go to the other parts of the company on Exchange get addressed as joe@company.local instead of joe@company.com. So in all Exchange users listed in Domino they have a forwarding address joe@company.local. The way Domino used to send external emails would be if I cc'd or included an Exchange user, the outside party saw joe@company.com, not joe@company.local. However right now Domino is sending out as joe@company.local since the upgrade(and possibly since going to 852). While I thought the issue was related to Mike's usage of the Dircat, I mean Mobile Directory for you new admins, that is just a red herring. iNotes sends an email out properly still when I tested it. So whatever is broken, is only 1/2 broken and evidently has to do with the Notes client side OR the Notes Client 852fp1 hitting 852hf16 has an issue. So anyone out there who has seen this or wants to provide some insight let us know. Guess it's the Iris lab for me on this one at LS11 if nothing comes up first. One thing I have never really dug into is all the RFC's and how they got implemented, I am just not THAT geeky although someone in Product Management usually knows these things. Used to be many years ago my friend Mike Harer owned SMTP but these days who knows. Tivoli Directory Integrator which I was using for a Connections installation in our office (we had the 2.5 series running, tore that down and rebuilding 3.0) had an update. No problem, follow the usual process. Unzip the file 7.0.0-TIV-TDI-FP0006.zip(or newest update) to create a folder with the same name. Change to this directory and locate the UpdateInstaller.jar Jar file. Copy and paste this file in the E:\IBM\TDI\V7.0\maintenance directory, replacing the existing file with the same name. Yet it failed. Many times. Tried checking typing, tried downloading it again, but no dice. Googled it and didn't find a great answer either. But what seems to be a recurring problem with software these days is the possibility of running out of character space for a file location. Maybe this was the issue, maybe not. In the end, copied the directory to the root drive, E:\tdi-update-70006 and ran it from there. While checking on this I found the Connections Wiki actually says it unzipped to the root of the drive. Doesn't say you must and since installation files are elsewhere hadn't thought of it. So there you go, maybe it's not about character length as much as some odd coded requirement. Wish there was a gotcha list for Connections? Wait, there is, if you go to Lotusphere in 2 weeks, you can go to a session with this in mind. It is given by Stuart Mcintyre and Rob Wunderlich. No idea if this made it to their session, I wills ee you and them there. This post goes out to everyone who is pondering when the snowpocalypse (saw this used on twitter today) will end. Made sure your employees know what to check for updates about the offices being open or closed? Phone or websites usually. Tested your UPS units lately? Checked you have generators with fuel? Have you ever tested your backup and restoration procedures? Secondary WAN links in place and tested? Enabled mobile support to all and any devices for email, apps? Set security notifications to warn you if something is fishy. Best time to attack you is when there is a skeleton crew. Do not do any maintenance...unless you want to trek to the office to restart a stuck server. Make sure your inbound VPN can handle most of the office coming in through it. Make sure your executives know who to call or stay in touch with from IT because THEY WILL need this information. You know they will drop that phone in a pile of snow and you will have to brick it. I could go on but you get the idea. Just be safe, warm and think happy thoughts and post them to Facebook, Twitter or wherever you like to socialize with people. Lotusphere brings out all the greatness of the Yellow World and in this case a favorite topic of mine, Quickr has emerged with a new player and some useful tools. Before continuing, we have a business relationship with RPR Wyatt that goes back about 3 years or so, just being open and honest. So Michael beat me to it, but let me provide some more details. There are 2 tools found on this page. Yes, they want you to register to get it. As you can see from the screen shot, you can get a quick easy view of inactive sites as well. And if you need to, export it out using native Notes export options. Something which can come in very handy for reporting to management or HR or security when they ask more detailed questions of you. Their other tool, Essential File Extractor will pull all of the attachments in a site/place and store them on your file server or other location. I did not test it yet as I don't have a good reason right now to do this, but I can see usage for this tool especially when ending a place or archiving it but wanting the data accessible. If you go get it, let RPR know I sent you we are listed as Vanessa Brooks. I have a Lotusphere bet going. For those who still do not use DDM, Domino Domain Monitoring, you really must like working hard. At MWLUG I presented on this topic, link to my presentation is here. In the room, only about 10% had ever looked at it or even opened it up. A sad commentary on training in my opinion. I think I covered how to set this up in my presentation linked above. For a voice over and presentation you can find my LTAP presentation here password was ltap. If you have questions, you know how to find me and I will be at Lotusphere as well. In any event, if you had set up even some simple events in the events4.nsf database to monitor and notify you of failures, especially internal email routing or via VPN, then good for you. If not, you would probably wake up to a nightmare of people screaming where is their emails. Instead you get a nice email from your server asking you to check what is wrong. 1. The number of attempts to deliver messages to this destination is excessive. 2. The named server may be down. 3. There may be problems with network connection. 4. The details tab lists any errors encountered when attempting to access the destination. 1. Configure a mail routing probe to quickly detect a nonresponding server. 2. Verify that the other server is running. 3. Check connection documents for the correct information. 4. Verify that the number of messages required before routing occurs is less than the configured probe limit. 1. Create a mail routing probe. 2. Inspect or modify a Connection document on server 'name/corp'. I know this is nothing special to many bloggers, but for those admins that want to learn and do more, it makes you look good to management, or in our case a client. Be proactive, not reactive, plan ahead. Moscow, RUSSIA - 11 January 2011: IBM announced today that multiple hospitals throughout Russia have switched from paper-based medical systems to a new solution from IBM and Complex Medical Information Systems (C-MIS) to provide fast electronic medical record exchange and unified access to many types of healthcare data, allowing doctors and medical staff to share information and access tests and lab results instantly to improve decision making. Designed to help hospitals use all their information more effectively and provide patients higher quality care, the system was first used at the Municipal S.Z. Fisher Hospital No. 1 in Volzhsky in the Volgograd region of Russia. Similar projects are now underway at other public hospitals throughout Russia including Leningrad, Kirov, Pskov and Vladimir regions, Republics of Khakassia and Udmurtia, Perm Territory and Moscow. The need for new health information technology throughout Russia was driven by stricter medical information requirements, the need for more secure access to patient information, and growing paperwork that takes doctors away from caring for patients. In addition, concerns about data reliability and the need to consistently share information throughout hospitals has made the new hospital automation system built on the IBM Lotus Notes and Domino platform an important requirement for these hospitals. "The solution developed by IBM and C-MIS helps solve numerous problems," said Roman Novitsky, CEO of Complex Medical Information Systems. "First, it provides a single electronic tool for control, accounting and planning, which leads to improved operation and higher quality of service. Second, the solution consolidates all medical, administrative and financial processes, thus creating a unified information space at the hospital." In addition to digitizing and providing access to electronic patient records, it also helps automate many business processes throughout the hospital such as work scheduling for doctors, nurses and staff, scheduling medical exams and house calls, as well as automating temporary disability registrations. Document exchange automation enables performance monitoring and helps prevent submission of inaccurate information about healthcare institutions to the Healthcare Committee. It also ensures secure data exchange and enhances interaction among medical workers to help improve quality and effectiveness of medical service. "To develop this medical record exchange system we considered IBM, Oracle and Microsoft platforms and chose IBM Lotus Domino," said Roman Nowitskiy, CEO of Complex Medical Information Systems. " We selected Lotus and Domino because it is a multi-platform solution and it can be implemented with various operating systems to ensure flexibility in addressing the IT challenges faced by medical institutions." "Advantages of this software include fast and low-cost electronic document exchange implementation," said Alexandre Kotov, IBM Russia healthcare industry. "In addition, it helps improve communication among hospital staff and external users such as pharmacists, additional nursing staff or hospital contractors while providing mobile access to the information system via IBM Lotus and Domino software applications." The IBM Health Integration Framework (HIF) helps clients build an integrated platform for all of their healthcare operations based on industry standards. This framework utilizes elements of IBM's entire software portfolio including WebSphere, Rational, Tivoli, Lotus and Information Management products while leveraging the full range of IBM Systems and Storage technologies and the industry-specific offerings and consulting expertise of IBM Global Business Services. For more information about the Health Integration Industry Framework certification model, visit http://www-01.ibm.com/software/industry/healthcare/framework.html. A few days ago I was with a client and we were going over how their files will look in Quickr 8.5.1. Using the Quickr Connectors I noticed something which was not how my laptop was working with them. If he double clicked on a file in the explorer list, it did not open the file...but opened the Quickr site and the file page. If he then wanted to view or edit it he had to right click or click on the drop down or the item and then preview to see it. My laptop just opened the file. I realized my Connectors had not been updated. So I updated them. And they did it too! As Darren Duke and I discussed via Skype, this is working as designed. Some have said this only happens in specific cases. And so it seems, this is that case. Ok, fine. But I, and my client, are not seeing it and want the old way back. In this case rebuilding 1,000's of documents was not feasible. I searched and did not find anything about this. The behavior was changed to allow for the connectors to add/edit custom metadata to documents. By doing this, we needed a method to allow management of attachments on a document type page. No guarantees this will work and it can change back when you manage places on that server ... and you lose some of the new features (such as required metadata prompting). So it worked for me and hopefully for you as well. No idea if it will revert back or not after a day or 2 or reboot or next time I login but so far today it's worked as expected. EDITED with an update 1/7 Noon: It seems that if you add a place it reverts back. Still testing if I don't add a place what happens. So this may or not really work in the end. Perhaps just installing a Connector from 8.2 is best? This post has nothing to do with Lotus or IBM. It does have to do with computers and technology and a different view of making use of them. Do not take my references to religious guidelines as fact for the beauty of Judaism is much of it is open to discussion. The Jewish Press arrived today, better late than never after last week's snow but we usually get it after the weekend. In the 12/31 issue on Page 10 are 2 articles of interest. The first is a reprinted article from June 2009 which is available online and titled "IDF (Rabinate) Developing Shabbat-Friendly Keyboard, Computer Screen". The second, which is available online from the Jerusalem Post, is titled "Siddur Going Digital, But Not For Shabbat"
The first article is about צהל or the IDF (Israel Defense Forces) trying to come up with a way for a computer, among other items, to be used on Shabbat. There are whole sections of the Israeli army that are full of Shabbat observant people and this is not an easy issue to grapple with for some of them. It should be noted that in case of danger to one's life or others they can break Shabbat, "normal" times on base or in the field pose other questions. While I can not debate all the halachic(religious legal reasoning) reasoning, suffice it to say that there are in effect boundaries that can be leveraged for these situations. It is not to say that just anyone can use them, although some may argue to do so, but these are for specific circumstances and go talk to your Rabbi or Rav if you have questions. Many are on Twitter by the way should anyone be interested. But ArtScroll’s most popular books - its Shabbat and High Holidays prayerbooks -- will not be coming out for e-readers like the iPad and Amazon’s Kindle. The reason? The Shabbat prohibition against using electronic devices is a major barrier. “The vision of people coming to shul on Shabbat with their e-siddur just doesn’t cut it,” Rabbi Meir Zlotowitz, president of the Orthodox-run publishing house, told JTA. The view Artscroll is taking is deliberate and probably appropriate for the time being. One should not cause another to break the laws of Shabbat, no matter whether you argue there are Torah laws or Rabbinic in nature. If, for example, an iPad or similar device could be designed in a way that could conform to halachic standards, would it be "in the spirit of Shabbat"? This is an altogether different issue. One can watch TV on Shabbat or listen to the radio, but not change channels or volume or do anything else with it, is it in the spirit of Shabbat? Are discussions about work or anything not to do with Shabbat acceptable or not? It is not an easy discussion to have. While many in the print publishing world say everything is going digital, there is still a percentage of people who love the feel of a book in hand. Or for religious reasons can not or will not use the electronic devices. For many it is not an issue, and never will be. Personally I enjoy not knowing what is on or happening anywhere or if there are problems at work for 25 hours a week. It is also a time when I can catch up with my reading. To close with a media related societal reference, in the "Star Trek 2: The Wrath of Khan " movie, Spock gives Kirk an antique copy of a Dickens classic, "A Tale of Two Cities", as a birthday present and proceeds to read it after a brief dialog. KIRK: Oh, by the way, thank you for this. SPOCK: I know of your fondness for antiques. I guess life just may imitate art...someday. Over the holiday week with my kids off from school took a bunch of time off. One day we decided to go to Orlando for the day. Kids took the Tablet, which in an emergency was going to be my support device as well. All was fine for the first hour or so. Stopped to get gas along the way and next thing I hear is screaming and crying. Turns out the Tablet had developed a case of broken window. The screen, literally cracked. The INTERNAL screen that is. After sorting the kids out and explaining neither of them had done anything wrong, I then had to figure out how this happened. My best guess is the device could not handle the 45-50 degree temperature outside. inside the van it was obviously warmer but either way, we had cracked glass brick. Top glass is 100% fine. The LCD was done. When we bought the tablet, knowing it was the kids, we spent the extra $18 to get a full replacement coverage. So off I go to call the warranty department. I find out, replacement coverage is NOT what you and I would expect. It means we get our money back. Um, that is not replacement coverage to me. Well sure, we can replace it, at much higher cost which will make us wonder which device to get next. The same one or something different? Personally I would like one in Yellow for Lotusphere. If anyone has similar plans, let me know.